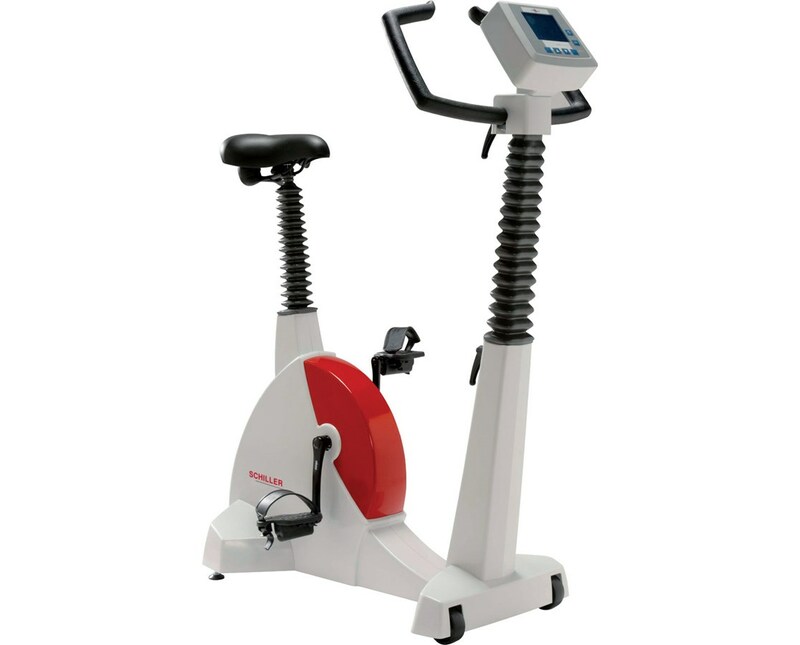 The Schiller Bicycle Ergometer 911 S Plus is the ideal Bicycle Ergometer. Developed and Constructed According to the Latest European Guidelines for Medical Ergometry it is Built for Patient Safety. The Ergometer is Constructed with Safe and Stable Steel/Aluminum to hold Patients Weighing up to 350 lbs. The Speed of the Bicycle is Independent of the Load of the Patient. It is Compatible with all Schiller Exercise Work Stations. 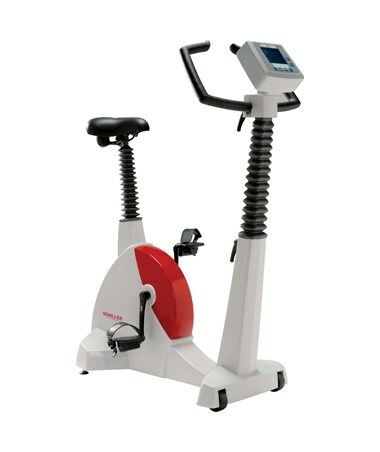 The Bicycle Ergometer Features a Large Graphic LCD Display. The Fixed Saddle is Standardized for Flexible Operation of the Bicycle. The Ergometer includes Optional Blood Pressure Measurement. The Cuffs are Available in Different Sizes for use with Children and Adults. The Bicycle Ergometer is Computer Controlled via Galvanically Isolated RS-232 Interface. The Bicycle has an almost Noiseless Drive even when used at High Speeds. Due to its Low Frame it is Easy to Use for Elderly and Handicapped Patients. The Bicycle Ergometer has Easily Programmable Ergometry Parameters.